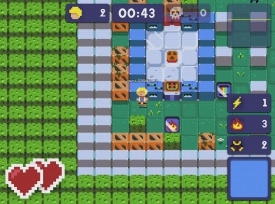 "A mix of Bomberman and Fortnite style Battle Royale"
Starbomba is a game influenced by the fantastic Bomberman games where you must run through mazes strategically placing bombs to try and kill your opponent, however there is a difference in this game as the play areas will continue to get smaller much like Fortnite's Battle Royale mode forcing you and your opponent or opponents closer together and making the game more tense and dangerous the longer that you are able to survive. 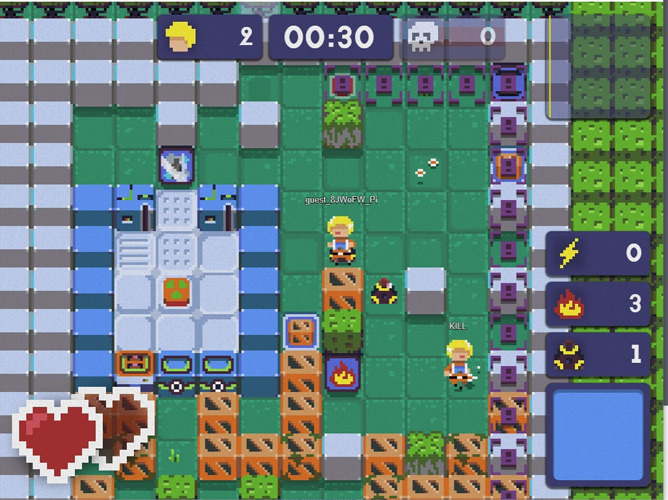 This is only a pre-alpha version of Starbomba and you may find yourself having to play with AI bots if there isn't any other players available to match with but this is still a lot of fun and a good way to learn how to play the game. 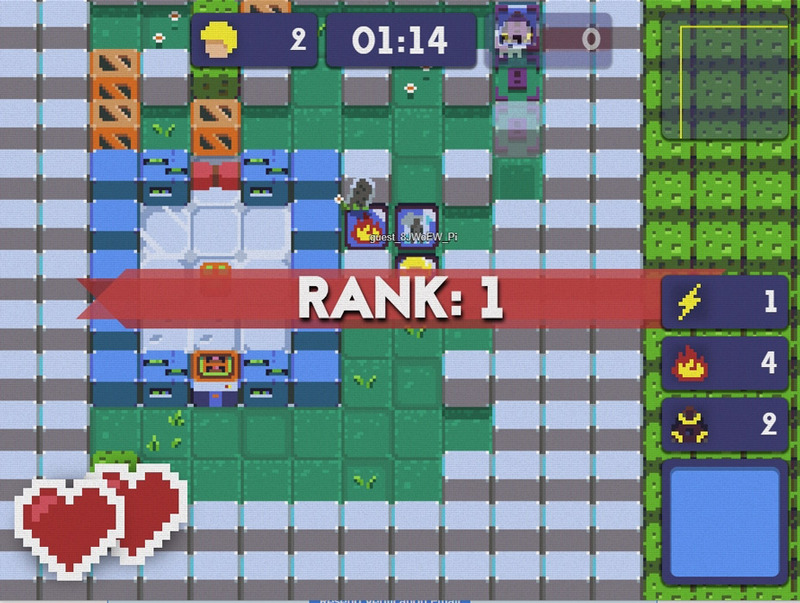 The game encapsulates the same kind of retro graphic stylings of the classic Bomberman game and it is very easy to pick up and learn to play although you will have to be on your toes to make sure you avoid your opponents bombs. Eventually Starbomba will support games with up to 100 players and 5 teams making for some absolute bomb laden carnage with lots of other online players and although this is an early build the game play is already a lot of fun and this is well worth checking out. 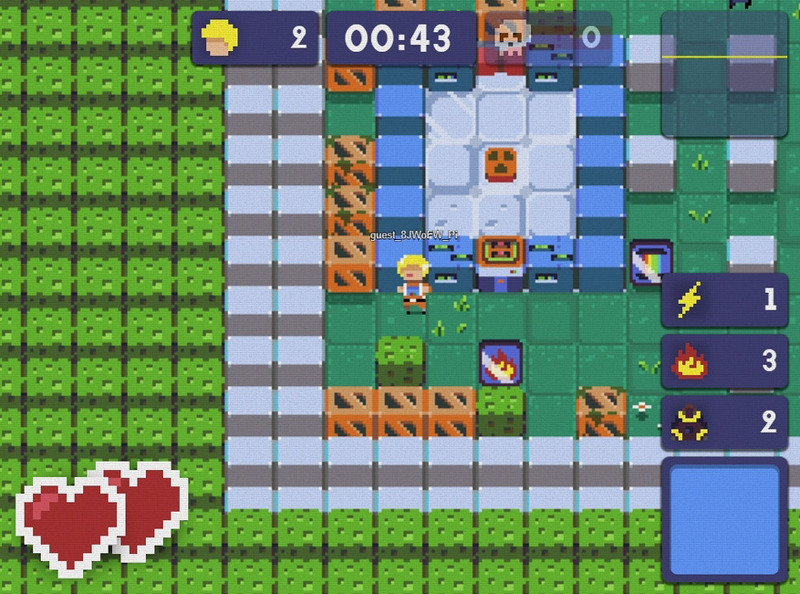 You can download the Starbomba pre-alpha build here for free.